My name is Sue McFadden and I come from a family of dog lovers and was introduced to the dog world nearly forty years ago. So many photos to sift through and so many memories. 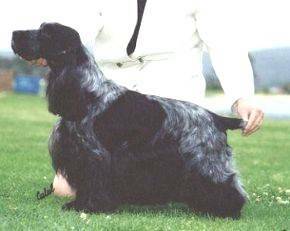 This photo is of the grand dog Grand Champion Feenix Fair Star bred by the late Ken Daniels. Max was a one in a million dog and my best mate. My beautiful Max passed away on 12th June 2008 at 14 1/2 years of age. I am extremely proud of my lovely dogs who have given me so much pleasure throughout my life. I hope you enjoy my website as much as I have enjoyed putting it together.